Once in awhile, when I actually get to sit down and watch a movie in its entirety (yeah, I know watching two episodes a week of Breaking Bad doesn't count), I find unexpected gems hidden within the Netflix Streaming archive. One such film that caught my eye stylistically and seemed to have all the right quirks was New Waterford Girl. Set in the moody setting of Nova Scotia, the movie revolves around Mooney, a small town girl who feels out of place in her surroundings, and her dreams of one day moving to New York. The main character is a Natalie Portman look-alike with the mannerisms of Lydia from Beetlejuice, one of my all-time favorite movies. Every outfit looks as if it was styled by La Garconne, which is probably what kept my attention for most of the movie. No, just kidding, the movie really is charming and showcases the talents of newcomer actress at the time, Liane Balaban. In addition to this movie, I'm going to squeeze in another one that Bryan just made me watch the other night. Tombstone. You know, I always think I don't want to watch a Western, but when I do, I usually love it. Butch Cassidy and The Sundance Kid, Silverado, Giant... to name a few. The all-star cast blew me away in Tombstone and if you were ever curious about the story of Wyatt Earp, here ya go. 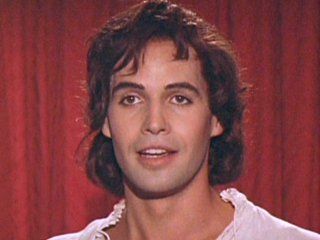 Plus, the young Billy Zane is oh-so pretty! Those eyes! Sounds interesting..worth a try watching..thanks for the recomendation. Any time! I'm full of movie suggestions. I love film, but nowadays, it seems so hard to get me on the couch to watch one. This moving seems really interesting, I will have to look for it! You should! It's a cute coming-of-age movie, and it was Liane Balaban's first starring role. I'm now looking forward to watching more movies with her in it. Thank you! Yours is very nice too! Love your photos! Sounds like a movie I'd totally watch too so I'll definitely have to check it out and I'm with you on Breaking Bad! Bummed that it's coming to an end! this sounds good, is it set in ireland? just found your blog, i really like it!! following you now hun! i have a new post up,if you get a chance to take a look, thanks. It's actually set in Canada, but I thought the same thing! The weather and backdrop remind me of many Irish movies I've seen. 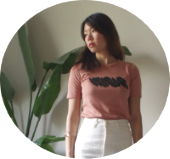 Just checked out your site, and you have a lovely blog too! That movie sounds so good! I have the same issue, I can watch tons of tv episodes, but barely able to watch a movie. Also your blog is insanely beautiful. I'm in love.